Giorgio Armani launches a new version of the iconic Armani Code perfume, Armani Code Absolu in a glamour gold covered bottle. 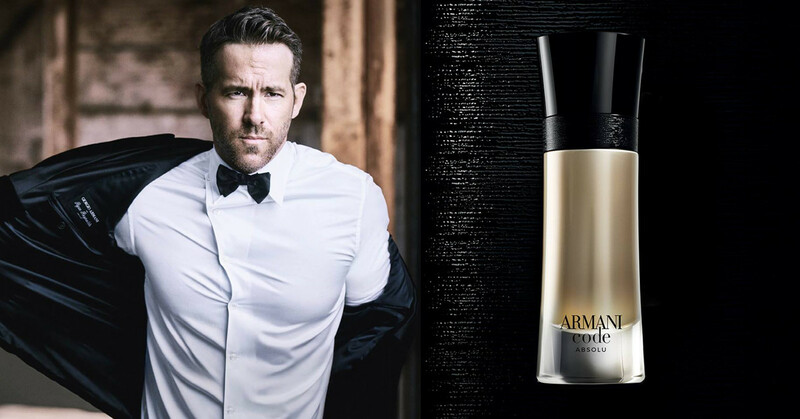 This new perfume, Armani Code Absolu is advertised by handsome actor Ryan Reynolds. Giorgio Armani Code Absolu opens with a pleasant aroma made of fresh apple and green mandarin notes along with carrot seeds, nutmeg, and orange blossom. The bottle shape is the same as the original perfume, yet colored in gold adorned with a black cap. Giorgio Armani Code Absolu is available in 60 and 100ml.